Appropriate for one- or two-semester Advanced Engineering Mathematics courses in departments of Mathematics and Engineering. 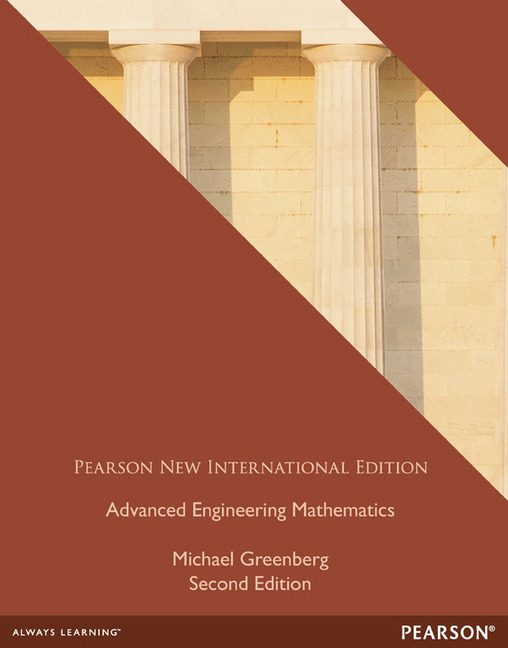 This clear, pedagogically rich book develops a strong understanding of the mathematical principles and practices that today's engineers and scientists need to know. Equally effective as either a textbook or reference manual, it approaches mathematical concepts from a practical-use perspective making physical applications more vivid and substantial. Its comprehensive instructional framework supports a conversational, down-to-earth narrative style offering easy accessibility and frequent opportunities for application and reinforcement. 1. Introduction to Differential Equations. 2. Equations of First Order. 3. Linear Differential Equations of Second Order and Higher. 6. Quantitative Methods: Numerical Solution of Differential Equations. 7. Qualitative Methods: Phase Plane and Nonlinear Differential Equations. 8. Systems of Linear Algebraic Equations; Gauss Elimination. 10. Matrices and Linear Equations. 12. Extension to Complex Case (Optional). III. SCALAR and VECTOR FIELD THEORY. 13. Differential Calculus of Functions of Several Variables. 16. Scalar and Vector Field Theory. IV. FOURIER SERIES AND PARTIAL DIFFERENTIAL EQUATIONS. 17. Fourier Series, Fourier Integral, Fourier Transform. 21. Functions of a Complex Variable. 23. The Complex Integral Calculus. 24. Taylor Series, Laurent Series, and the Residue Theorem. Appendix A: Review of Partial Fraction Expansions. Appendix B: Existence and Uniqueness of Solutions of Systems of Linear Algebraic Equations. Appendix C: Table of Laplace Transforms. Appendix D: Table of Fourier Transforms. Appendix E: Table of Fourier Cosine and Sine Transforms. Appendix F: Table of Conformal Maps. Application of the mathematical concept of nonlinearity to nerve impulse and visual perception.